Martha Farnsworth, a Topeka, Kansas resident, kept a personal diary from 1882 through 1922 with only a few gaps. 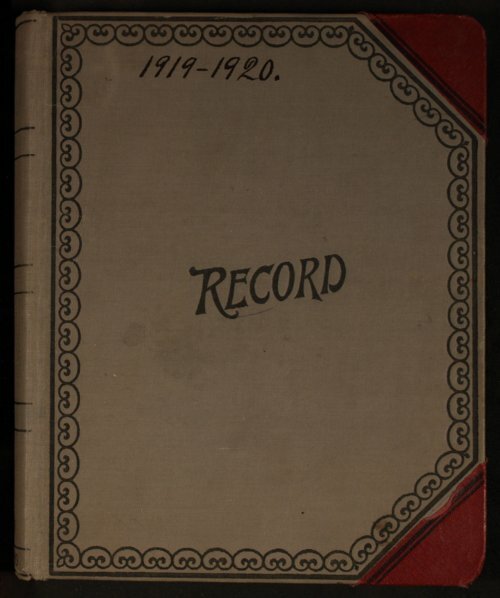 This particular volume covers the years 1919 and 1920. Martha's diary entries not only reveal her values and the activities in her life, but also provide a picture of Topeka at that time. Some of the notable aspects of Martha's life include her participation in social reform movements, membership in social clubs and activities, and her deep religious convictions.